Thanks to Facebook groups like Subtle Asian Traits and movies like “Crazy Rich Asians,” Asian culture has entered the mainstream. I queued up the photo in my messages with my mom and paused before pressing the arrow to send it halfway across the country to her phone in Maryland. Would she understand? Would it be as funny to her as it was to me? The last time I sent her an amusing post I saw on the Facebook meme group Subtle Asian Traits, the bilingual pun flew over her head. She panicked that I, her anemic daughter prone to fainting spells, had actually donated blood. Before I could explain it was a pun, she frantically texted me to ban me from ever giving blood. This time, for good measure, I added laughing emojis and let it whiz off to her phone. Almost immediately, the typing bubbles popped up. Humor, especially puns, is difficult to communicate when the two parties vary in language fluency. I grew up translating English jokes into Korean for my parents, and the other way around for my brother, often losing the wit found in the original language. Naturally, I got excited when I found funny things my entire family could enjoy, and this photo, I hoped, was something we could all understand. My mom is taking too long to type what I hoped her immediate response would be: ㅋㅋㅋ, simple Korean characters that stand for laughter. Is she going to get on my case again? Am I going to have to explain the joke to her with my limited Korean writing skills? 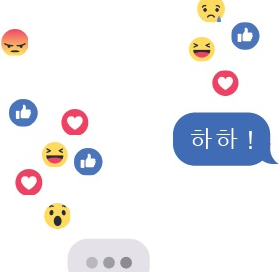 Subtle Asian Traits is part of a growing online trend of social media groups created for people to share jokes and relatable posts with peers. Created last September by a few Asian Australian teenagers, the group now has over one million members from around the world. Joining Subtle Asian Traits is not contingent on a person’s race, ethnicity or culture, but those of Asian descent compose most of the group. The memes in the group range from puns in various languages, including Vietnamese and Thai, and posts about bubble tea (a popular drink originating from Taiwan) to discussions about mental health as it pertains to Asians. Posts are pre-screened for inappropriate and offensive content by a group of administrators. Northwestern third year Janet Lee, a self-described Korean American from the Midwest, was invited to join the group by her best friend from high school, a Korean Australian. Thanks to a recent explosion of Asian culture in the media, the sudden rise of Subtle Asian Traits comes at a timely moment. The group was launched less than a month after the August 2018 releases of Crazy Rich Asians, the first Hollywood movie in 25 years to feature a majority-Asian cast, and “To All the Boys I’ve Loved Before,” a Netflix hit starring an Asian American woman in the lead role. Subtle Asian Traits, Crazy Rich Asians and To All the Boys I’ve Loved Before depict the narratives of Asians across the world. Memes, films, even food — Yakult, a probiotic drink that is a staple in my refrigerator at home, went viral after appearing in To All the Boys I’ve Loved Before — share stories that, after going uncovered for years in the mainstream, are finally starting to be told. Like Lee, I found my way into the group through my non-Asian friend, third year Juan Solera, who was already a member. Solera, who only stayed in the group for a few weeks, was added randomly by a friend. “In the beginning, I thought it was really funny because I have a lot of Asian friends, and what they do is on the meme page,” he says. Ultimately, the posts in various Asian languages led Solera to leave the group. “I didn’t understand what was going on, so I had no point in being there,” he says. Unlike Solera, language sparked second year Kanaan Dopp’s involvement with the group. Dopp, who is white, minors in Asian Languages and Cultures with a concentration in Chinese language. As in any meme group, a post’s applicability or appeal to each person varies, regardless of the intensity of the person’s affiliation with the group. Lee tends to not relate to the memes about bubble tea because she didn’t grow up drinking it as often as others. Dopp, whose Mandarin Chinese vocabulary is conversational, is a fan of fourpaneled language memes that make jokes or puns from similar characters and phrases because he can understand their humor. Second year Diya Vuthandam, who is Indian, also picked up Mandarin while living in Singapore for eight years. “I know it’s not my personal culture, but I do feel kind of connected to Chinese culture because I grew up around it,” Vuthandam says. Subtle Asian Traits has spawned multiple offshoot Facebook groups. There’s Subtle Asian Networking, which functions as a pseudo-LinkedIn. People can “auction” their friends into relationships using Subtle Asian Dating. Subtle Curry Traits, which Vuthandam is a part of, is specifically for South Asians. With so many of the memes catered toward East and Southeast Asians, Subtle Asian Traits is where Vuthandam goes for humor, while she looks to Subtle Curry Traits for relatability. “I think they’re really different. There’s obviously overlap between East Asian lifestyle and South Asian … [but] to have one big group for all of it is just too much,” she says. Vuthandam added that Subtle Asian Traits and Subtle Curry Traits achieve similar purposes. Memes that are specific to certain cultures and traditions strike a chord with those who belong to them. “I guess I was always a little bit insecure about my heritage. I’m sure everyone feels a little bit of that, so seeing memes about it and other people talking about … their culture, it’s nice to be a part of that,” she says. Wilson says the memes on Subtle Asian Traits are funny because they are relatable and bring a sense of nostalgia. Wilson, who wasn’t raised with traditional Japanese culture, says his relationship with Subtle Asian Traits is a distant one. Some of the jokes, especially those in the Japanese language, go over his head, but he can connect to the memes that bring him back to his memories growing up. Ultimately, the Facebook group has rekindled a deeper connection to his heritage. “There’s such a large base of people who wanted to be a part of this community, are part of the community or people like me, who want to learn more about themselves,” Wilson says. She focused on a specific demographic on campus because “Asian international or Asian American students are individuals in everyone’s classrooms, sharing the campus and the college experience,” she says. “These are Northwestern stories that are relevant to everyone. This is very much the story of our campus whether everyone thinks about it or not.” Thanks to Lee’s efforts, Asian culture at Northwestern keeps growing, alongside Subtle Asian Traits. I’m still in Subtle Asian Traits. Though the numerous posts from its large membership are starting to get a little overwhelming, this group is an outlet I’ve felt such a strong connection to. I tag my friends in memes that have applied to us throughout the years and message my brother ones about growing up in an Asian household while trying to assimilate into other cultures. After sharing memes from Subtle Asian Traits, I’ve discovered that my dad and I share a love of “dad jokes,” apparently bemoaned and amusing in any culture. Though it seems like a trivial meme group to most people, Subtle Asian Traits has let me reconnect on some level with my parents and their senses of humor. Despite generational, cultural and language barriers, I can finally send them things that make me laugh and know will make them laugh, too.